International students may be eligible to work for 2.5 years in the U.S.
Gain real-world experience with access to Bloomberg Financial Markets technology and more. The Business Analytics Master of Science degree prepares you to manage the unprecedented amounts of data businesses are creating. Gain control of Big Data to deliver powerful analytics solutions to help companies make better business decisions. Today's businesses collect an incredible amount of data from nearly every customer touch point, from point-of-sale transactions, customer service interactions, social media feedback, search engine entries, market research activities, sales data, demographic information, and more. Only a tiny portion of this data is analyzed. Be a catalyst. Turn this around. Be amazing. Increase sales, reach new customers, develop new products, and enhance the customer experience. From the team behind the #6 ranked Management Information Systems program in the Saunders College of Business, this program delivers excellence at the intersection of business and technology. Join the Master of Science in Business Analytics and learn to lead data strategy, data collection, and data visualization efforts that enhance decision making for business leaders. The MS in Business Analytics program qualifies international students to work for up to 2.5 years via a F-1 OPT STEM 17-month work Extension. Why Should You Consider a Business Analytics Master of Science degree at Saunders College of Business? Recognized among nations very best business schools. Saunders College graduate programs regularly receive top rankings for several determinants of student success. The MS in Business Analytics is born out of a Management Information Systems program that is ranked #6 nationally by College Factual. Across all Saunders business programs, Saunders graduates experience a 94% outcomes rate, as employers value their ability to stand our from their peers and deliver results. Students in the program acquire a broad and in-depth training in multiple disciplines related to business analytics, including MIS, Marketing, Accounting, Finance, Management, and Engineering. Students in the program will have the opportunity to receive the Advanced Certificate of Accounting and Financial Analytics. Faculty are engaged in current research, and have hands-on expertise in high-technology and business industries. Faculty share their unique perspectives and experiences with students both inside and outside the classroom. The extension is exclusive to qualifying STEM (science, technology, engineering or math) focused programs. The MS in Business Analytics program qualifies for an F-1 OPT STEM Extension, under the CIP Code 27.0103-Analysis and Functional Analysis in the 2012 STEM-Designated Degree Program List published by the U.S. Immigration and Customs Enforcement (ICE) office. For more information please visit the U.S. Citizenship and Immigration Services (USCIS) webpages: Understanding F-1 OPT Requirements and Questions and Answers: Extension of Optional Practical Training Program for Qualified Students. 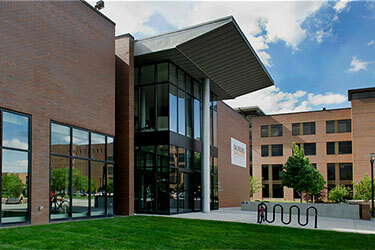 "The Business Analytics program is a natural extension of our top ranked Management Information Systems program, and is bolstered by our partnership with the RIT College of Science. This program sets up a platform spanning multiple disciplines. Employer demand has helped make this our fastest growing and largest program, attracting the world's top companies and our graduates' highest salaries. Our attention to your success has built a strong alumni network within the field, and best positions our students for placement in this booming career field."